About – Roger Grona – CEO, Business Consultant, Entrepreneur and Investor – Firebird Business Consulting / Ventures Ltd.
Roger is very proud of his Metis heritage. His ancestry is traced back to the 1700’s in the Red River Settlement. He is an Entrepreneur, Business Consultant, Investor and CEO. Roger is the Founder and CEO of Firebird Business Consulting Ltd. 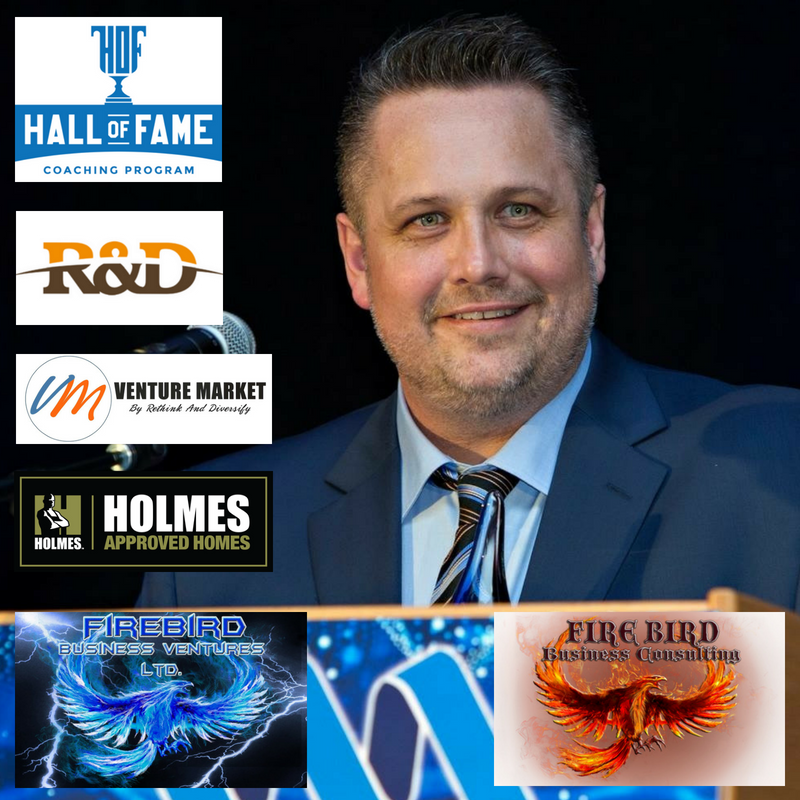 Founder, Business Partner and CEO of Firebird Business Ventures Ltd., Investor and Business Partner(ed) in Rethink and Diversify Securities Inc. Venture Market (online exempt market portal), Hall of Fame Coaching (HOF), Aslan Capital Saskatchewan Inc. and a very minor investor in Holmes Approved Homes. Starting off in media (on-air), working his way into management in construction in his early twenties and shortly after that he partnered with his brother Keith in Buffalo Bill’s Food Products Ltd. Roger was the CEO and was in charge of sales and business development. He grew Buffalo Bill’s Food Products substantially and in a short period of time, the product went from making a few pounds of formed buffalo jerky to making hundreds of pounds in a week and being carried in 180 stores. Well, let’s just say they learned a hard lesson in product consistency. Their clients supported them throughout and even when they stopped operating. Roger and his brother went around to all the stores and offered a full refund. They wanted to know that they closed down on the best of terms. Roger closed down Buffalo Bill’s Food Products Ltd., not because he had to but because he needed to. He said he was burnt out. He learned a hard lesson in business, you can do all the right things in growing your sales but focusing on your top line isn’t good enough. In hind sight that was a good move as knowing what Roger knows now he would not have shut down. He didn’t have the fight in him. Now he has learned those are just obstacles, not deal breakers. After they closed down Buffalo Bill’s – Roger became infatuated with sustainability and growing businesses. He is proud of what they did and accomplished with Buffalo Bill’s and gave him the determination to become focused on operating good business models. Roger went on and worked in Saskatchewan and Alberta oilfields (while living in Saskatchewan) working on Service Rigs, Drilling Rigs and as an Oilfield Battery Operator. As much as he enjoyed the many years on the oilfield, it was time to leave and pursue his dream of becoming a business consultant and entrepreneur. Roger then spent 8 years Senior Media Marketing/Sales in Saskatchewan radio industry (CJWW, 92-9 the Bull, Rock 102, 104.9 the Wolf). For each station he developed a small list into a Senior Account list in a short period of time. In advertising he had the chance to work with almost every kind of business and industry, consulting on advertising, brand development, recruiting, and business growth. After leaving radio Roger was recruited on many occasions to grow businesses for a few companies. 7 years Senior Sales Management (executive) experience that involved setting/planning profit based sales targets (writing and executing), set and met large sales quotas. He developed excellent media marketing plans that positioned different brands as the industry leaders. His other Senior Sales Management experience: recruited, mentored, and motivated sales teams and other departments. He prepared reports by collecting, analyzing and summarizing relevant market information. He has experience when companies go through growth and knows what to do to go the next stage of the business. Firebird Business Consulting Ltd. was created as result of Roger consulting for businesses part time, finally his case load was demanding him to consult full time. He left his job and stepped into full time consulting and never looked back. Firebird Business Consulting Ltd.’s consulting expertise involves consulting on marketing, sales and business sustainability. Today, Firebird has successfully completed well over 100 projects ranging from Business Plans to Business Consulting resulting in happy clients reaching and achieving their desired goals (check out their reviews on Facebook and Google). The team has grown to 6 business consultants. Services ranging from Business Plans, RFP’s, Grant Writing, Business Growth (Revenue and Sales Consulting), Marketing, Branding, Social Media Management, Social Media Training and Social Media Consulting, Process Improvement and Development, Online Strategies and SEO. The mission statement for Firebird Business Consulting Ltd. is to “commit and provide business owners a strategy to dominate and lead their industry for profitable growth”. 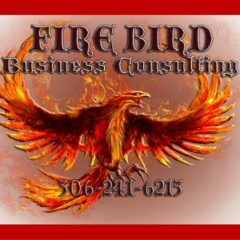 Firebird Business Consulting Ltd. has an excellent track record business consulting (coaching) with business of all sizes from start-ups to 100+ million plus annual revenue. Firebird Business Ventures Ltd. was created by 6 successful business owners that partnered together due to entrepreneurs requesting for their involvement in business opportunities. FBV (Firebird Business Ventures Ltd.) works with businesses to accelerate their growth and implement sound sustainability. They have a vast network that ranges from investors, business experts and other entrepreneurs in Saskatoon, Saskatchewan and beyond. For FBV it’s about partnering with the right people that desire growth for their business. FBV brings a vast knowledge of marketing, sales, business structuring, driving profits, raising capital, business strategies, business processes and all other aspects of business. On a community level, Roger believes in giving back. He volunteers and has volunteered for quite a few organizations. In the past he has been on Warman Chamber of Commerce as a Director, Mentor for InBusiness (National Mentorship Program for Aboriginal Youth), Community and Referral Partner for Futurpreneur Canada, Guest Adviser for Square One and is currently President for the Indigenous Chamber of Commerce Saskatchewan as well as volunteering for other organizations. He believes in giving back as much as possible to these three areas of community involvement 1) Business 2) Youth 3) Aboriginal, First Nations and Metis. Roger is always looking for opportunities that he can help with at a consulting level, investment or even a sweat equity stake. It’s really about partnering and investing with people and seeing if there’s a fit. Please contact Roger at 306-241-6215 or email roger@firebirdbusinessconsulting.ca for further information or to set up an appointment. Specialties: Taking new, junior ,senior salespeople to the next level, branding and imaging, new and existing business development, team building, business consulting, negotiating, marketing, coaching, leadership, expert in rapport building and communications.